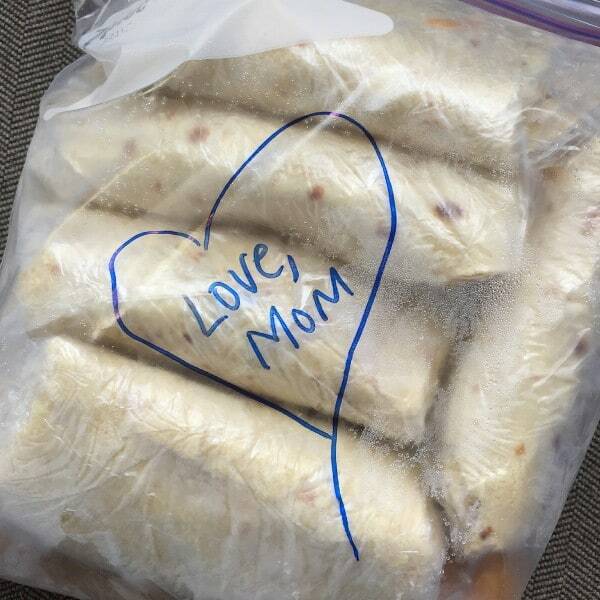 This Chicken Quinoa Freezer Burrito Recipe is the perfect make-ahead recipe (freeze, microwave, serve), for healthy school lunches or a quick meal! Friends, this Chicken Quinoa Freezer Burrito Recipe has been a staple in our home (freezer) for years! Easy to grab for a quick bite to eat, it only takes a little prep to make and freeze! This week is bittersweet for me, as one of our sons is heading back to college. The good news is that the other one is home for a sweet season, and we’re savoring every moment with him. Back in the day, when kids went off to college, parents waved goodbye as they drove away. This week we’re not driving with him, but we’ll be waving goodbye as he drives off with friends to head back to school. The dynamics of our family will be changing once again. It’s all good, because it’s a season of life. We’ve let our kids choose their path for colleges and careers, our responsibility not to choose the path we wanted our boys to take, but to ask questions, make suggestions, and guide them. You might call it a collaboration process, but it’s all part of the road-map of being a parent. Khan Academy has been a huge resource tool for all 3 of our kids in their studies. When they have problems learning in college, they turn to the internet to get free lessons and videos. Two weeks ago our oldest son, who just graduated from U of O, was giddy over the fact that Khan Academy now has the MCATS posted on their site. Every day for the last 2 weeks, he’s been studying at least 2 hours a day. 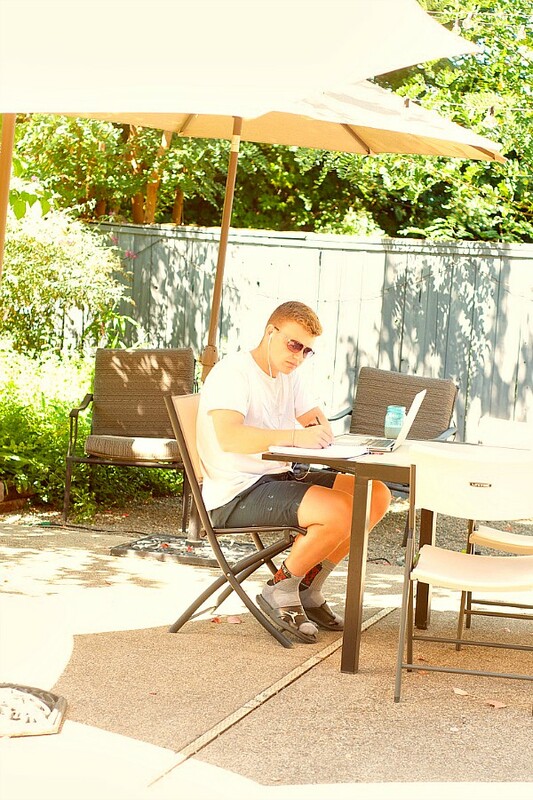 Studying and working this next year is part of his journey to get in to medical school. Our other son studied in China over the summer, taking 15 credit hours of Mandarin. He’s since finished with his Mandarin degree, but is working now on international business. Both hard workers, we’re proud of our sons and their drive to “get it done” … and fast! Tying this in with food, last year I made Black Bean Burritos with Cheese and Summer Squash for the boys to take to college. 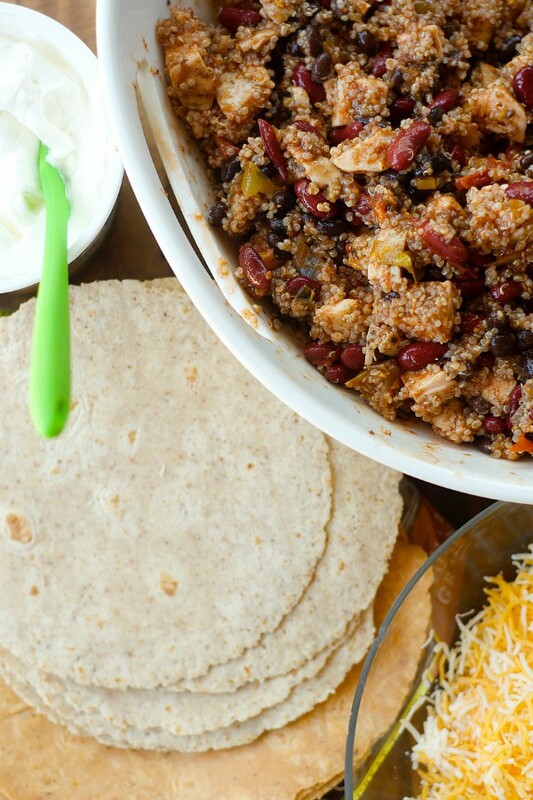 They’d live off of these healthy bites of substance and yummy flavors (beans, quinoa, sometimes rice, chicken, beef – I make all different combinations). We put chicken breasts on the grill, but you can use rotisserie chicken or even boiled chicken breasts. Any kind of chicken will work! 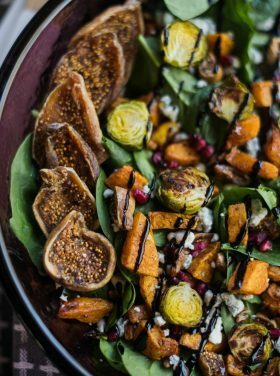 Mix together in a giant bowl (I often double this recipe!) all ingredients, and salt and pepper to taste! What comes next is filling the tortillas with the mixture, and adding cheese and sour cream or any other toppings that you wish (and that will freeze well). I like to keep it simple by only adding sour cream, but sometimes we freeze them plain. Fold, wrap, and freeze. When it’s time to eat them, simply discard the plastic wrap, wrap the burrito in a paper towel, and microwave for 1 1/2-2 minutes, or until heated through. At this point you can add extra toppings if you prefer. 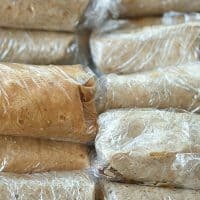 You can also pack these burritos for lunch in morning (frozen), so by lunch the burrito is mostly thawed and only needs 1:00-1:30 (depending on how large you make them) to heat in the microwave! Such a healthy approach to eating better in college. I know our sons appreciate mama’s touch with yummy food as they walk into their apartment, starving, and wanting something healthy to eat! So cheers for frozen burritos, kids that are doing well in life, and not taking for granted the blessings that we’ve been handed with healthy food, families, and love to spread to those around us! Do you have any freezer meal ideas or recipes that would benefit a college student? This Freezer Burrito Recipe with Chicken and Quinoa is the perfect make-ahead recipe for healthy school lunches or quick dinners! 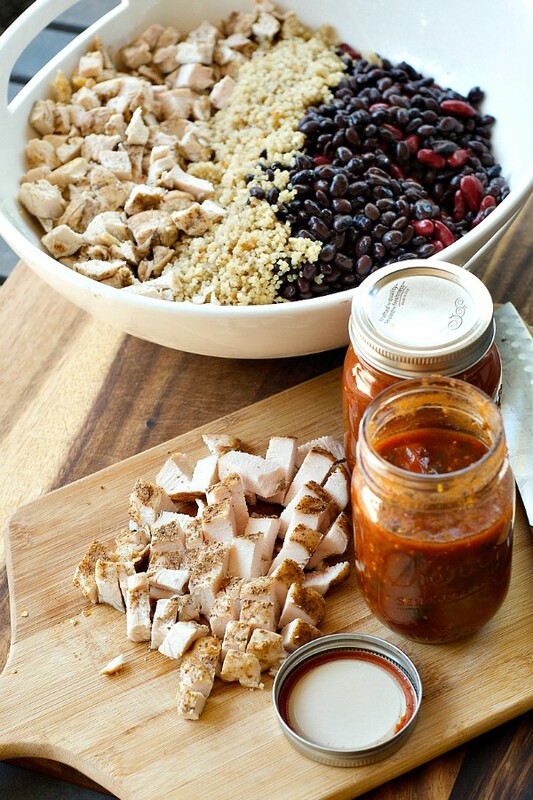 In a large bowl combine the cooked quinoa, diced chicken, drained beans, and salsa. 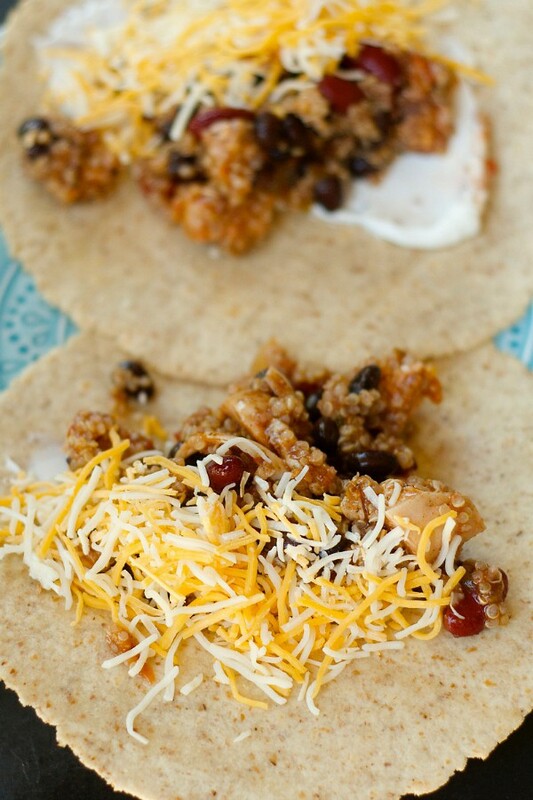 Fill tortillas with quinoa mixture, depending on the size of the tortilla. Add sour cream or cheese (optional). 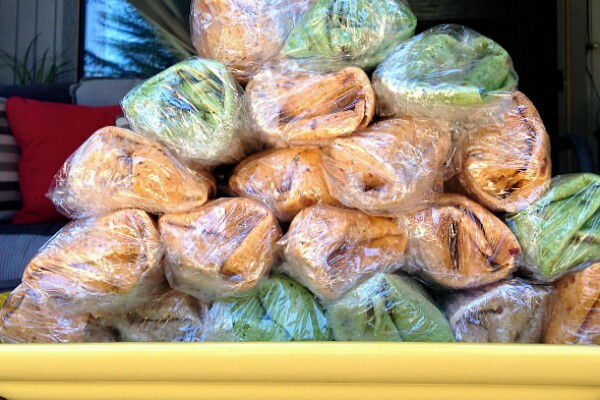 Wrap tightly, roll in plastic wrap, and freeze. MICROWAVE: Pull out of the freezer and remove the plastic wrap. 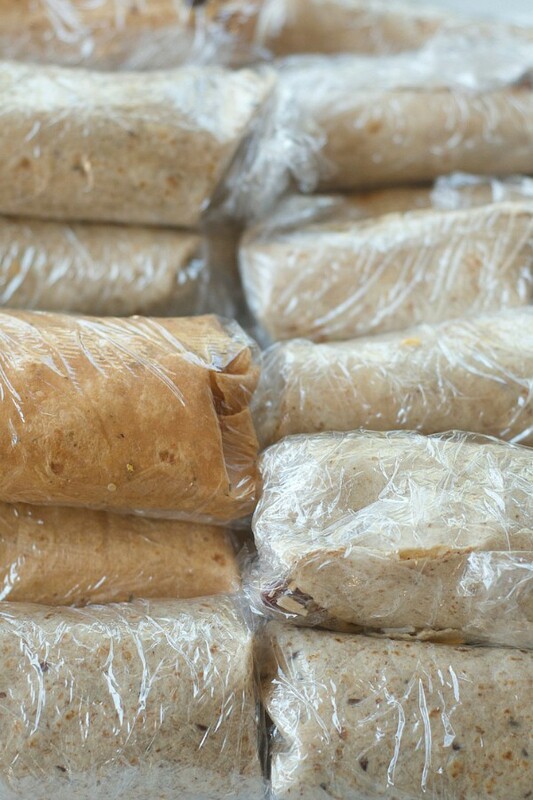 Wrap the burrito in a paper towel, and microwave (frozen) for 1 1/2-2 minutes, or until heated through. At this point you can add extra toppings if you prefer. OVEN: Remove burritos from plastic wrap; rewrap individually in aluminum foil. Place on a baking sheet; bake at 400 degrees for 30-35 minutes. Remove foil, and bake to crisp for another 5 minutes. For extra flavor, serve with hot sauce! Here are some tips for great frozen burritos. Shutterbean writes the date on them with this. Tessa makes freezer breakfast burritos – watch her video! 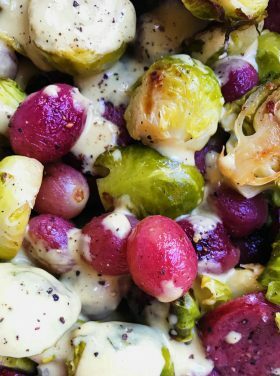 We absolutely love this recipe in our house! I always have at least one bag of these in the freezer for lunches when we don’t have leftovers to eat. Thank you for posting this! My husband loves them!! Just made these for this weeks lunch. I work at a middle school and often eat my lunch while doing lunch duty! These look delish. Thanks!! Just made another big batch of these. They are sensational. 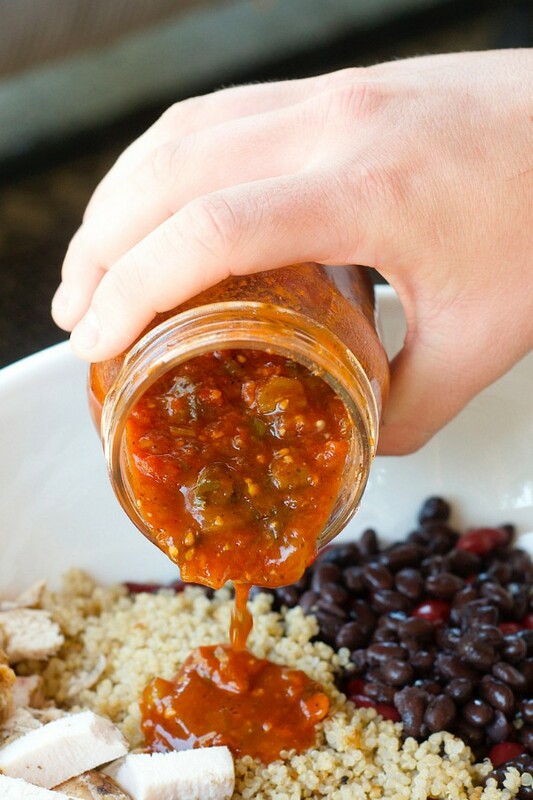 Use my own salsa recipe and then make them up as per your instructions. 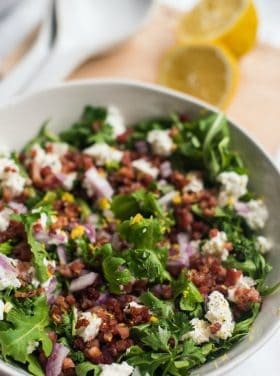 I made these last night for the freezer and had one for lunch today, one of my new favs!! Love that I have a healthier thing to grab when i’m in a hurry or too lazy too cook when i get home from work!